Apple has rolled out its Business Chat feature to more countries worldwide, bringing you the ability to chat with specific brands from your iPhone and iPad. According to a new report from MacRumors, the platform — designed to make it easy to exchange messages with companies, whether for making purchases, scheduling appointments, or simply asking questions — is now available to companies in Australia, Canada, France, Germany, Italy, Japan, Singapore, Switzerland, and the U.K., as well as Hong Kong in China. As well as asking questions and inquiring about orders, opening hours and reservations, Apple Business Chat also allows you to make purchases through the message stream. Initially supported by only a handful of US companies like Discover, Hilton, Lowe’s and Wells Fargo, the roster was expanded in July to include Dish, Aramark, Four Seasons, Harry & David, and American Express. With today’s launch, that list has been expanded significantly to include companies based in Europe and Asia, as well as additional companies in North America. 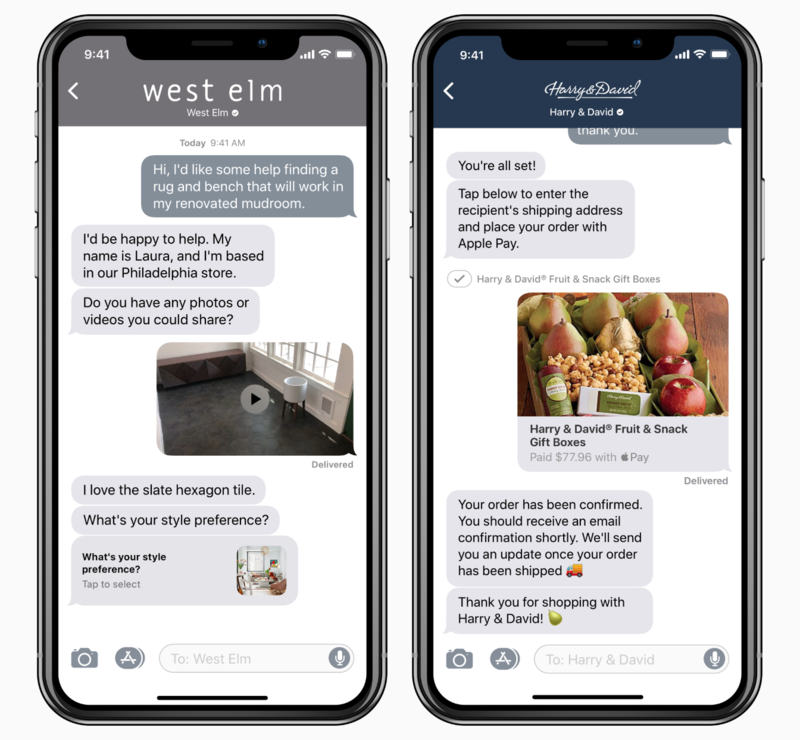 Some of the early adopters that you can now send iMessages to include Burberry (UK), Vodafone Germany, Swisscom, NH Hotels (Spain), Engie (France), Credit Suisse (Singapore), Harvey Norman (Australia) and KDDI (Japan). New US-based companies that have been added to the Apple Business Chat list include Men’s Wearhouse, west elm, Overstock, Quicken Loans and more. Apple introduced Business Chat at last year’s Worldwide Developers Conference and launched it with the release of iOS 11.3 this past March.